Is the conveyancing process ready for a digital upgrade? The days where people print out their documents are almost gone. From airline and concert tickets, viewing bank statements or redeeming a coupon, it is all available digitally. However, some industries are lagging behind when it comes to implementing technological changes and conveyancing is one of them. While it’s true consumers can search for properties online, many of the legal processes behind moving house are still largely paper-based and protracted – the conveyancing process, for instance, is estimated to take around 81 days to complete. This is because conveyancers need to ensure all legal and administrative work required is complete to guarantee a house purchase is valid under law. Due to the sensitivity of the documents that conveyancers handle they’re reluctant to try new processes that could potentially hinder how they operate. However, the need to modernise their approach in order to improve efficiencies and meet consumers’ expectations is now necessary. This is especially true as a fifth of today’s home movers are selecting a conveyancing service operating primarily through online channels during the legal side of the purchase. Recent research from DocuSign found that 87% of consumers expect to do business digitally, as they find paper-based transactions slow, inconvenient and unreliable. Despite this trend, conveyancers are still a paper-first profession. 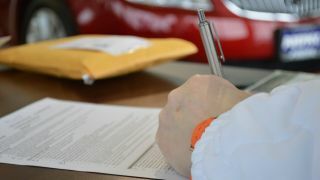 Most will still go through the process of sending a document that requires the home mover's signature, which requires them to download the file, print it in order to sign it and then send it via post and wait to hear back. Though in today’s digital world, that should no longer be the case, as conveyancers should know that there are applications that allow them to quickly obtain electronic signatures from clients. It can be as simple as uploading the document on the application, selecting where the home mover needs to sign and date, then email it to client to provide their signature, all online. Technology has grown to satisfy consumer appetites for instant gratification, whether it be information, services or items. It also means they are spoilt for choice when one provider isn’t delivering as they expect. People are looking for businesses that are ‘always on’, instant and constantly improving experiences. This also means that consumers expect better across the board and are asking more questions when it comes to what they are getting for their money. With the vast majority of home movers paying for conveyancing to be done, it is important that customer service is up to scratch. This was echoed by 35% surveyed in the Home Moving in the Age of the Consumer research, suggesting that they'd pay more for a service with a premium customer service focus. This identifies just how important regular communication and high-quality customer service is to them, and conveyancing firms and solicitors are not immune from these changing consumer expectations. Many though are struggling with them. As consumers move away from more traditional face-to-face or over the phone communications preferring online methods, it comes as no surprise that home movers are now seeking out two or more quotes - often online - before making a decision. Research found that this number rose from 24% to 59% and could continue to rise. This could very well be driven by the ‘always on’ trend where people are more likely to search for quotes out of ‘office hours’; giving themselves access to a more choice with the mere touch of a few buttons. The conveyancing firms that operate mainly through digital channels and are providing online access to documents will be the ones that come out ahead of the pack. When considering how to modernise service for today’s consumers, conveyancers could take notice of online shopping, grocery orders, or even online doctor appointment platforms. These consumer centric industries models could immensely help conveyancing. Take online ordering and delivering of food and goods, with the option for same day delivery with many retailers for example. These brands – the likes of Uber, Amazon, and Just Eat – offer open lines of communication for their customers; up to date tracking of their goods, and feedback reviews after the delivery has been made. This gives control back to the consumer, letting them know exactly where their order is, and knowing that should anything go wrong, they have the ability to contact the brand directly to resolve it. Even though these services are very different to what the conveyancing industry provide, they do have one thing in common: they understand that the consumer has certain expectations when it comes to value for their money. As customers expect certain levels of service they will easily move on to the next brand if they are not satisfied. This is highlighted by the fact that 47% of those surveyed openly want more digital communication - they value the efficiency and speed of digital communication more than traditional channels. Not to mention that modernising the home moving process will also be more cost effective for the conveyancer. Conveyancers deal with tight margins and by operating on digital channels that facilitate the automation of information, and condense processes, will not only reduce costs, but it also frees up time for the conveyancer. Meanwhile, the customer is receiving the type of experience that they would expect in this age. Those who are starting their climb on the property ladder now are those who will really dictate the differences conveyancers are expected to take on. The research found that online services were very important to emerging generations (18-24s). Many in that generation will be first-time buyers, so the need for greater consultancy and advice will be critical to ensure a good experience. This is besides the fact that going through the process for the first time can be daunting. The research found that 50% of consumers want their conveyancer to take on a more consultative role, especially being able to provide advice when it is needed. This also links to the fact that 37% want their conveyancer to use more layperson language to help them understand the whole process better. And as first-time buyers find it hard to choose between conveyancing firms because they ‘all seem the same’, being able to stand out from the crowd with tailored advice can be a big win for business. This presents a growth opportunity for conveyancers, as offering online conveyancing is an important reason for 23% of 18-24s for choosing a firm. This makes it the joint third most influential choice factor in that age group and suggests that the online aspect of a conveyancer's offer (through quoting tools and online portals to tracking progress) is hugely important for those in the specified age bracket. Essentially, the more a conveyancer can do using online systems, and more help they can offer, the more likely they are to gain business from younger demographics. In conveyancing, the demand for this kind of shift is already firmly set in. Use of online portals as a way to communicate with a conveyancer has more than doubled in the last three years. But there is still a way to go if conveyancers are going to rise up and meet the 21st century head on. Better communication, more online tools, and an up to date way for home movers to understand where they are in the conveyancing process will go a long way to modernise and streamline the industry. Adam Bullion is head of marketing at InfoTrack UK.